Twenty years after scoring the stoppage-time goal that clinched the European Cup for United against Bayern Munich at the Nou Camp, Solskjaer returns to the scene of one of the club's greatest triumphs in the hope of producing another. United must overturn a 1-0 deficit in the second leg of their Champions League quarter-final against Barcelona tonight to progress to the last four for the first time since 2011 and set up a potential semi-final meeting with Liverpool. They must score to stand any chance of achieving that and, having seen his team fail to register a shot on target in the first leg at Old Trafford last week and struggle for goals since their dramatic 3-1 comeback against Paris Saint-Germain at the Parc des Princes in the previous round, Solskjaer called on his strike force to deliver - and recognise fate will play no part. "We need to score goals and if it's Rom (Romelu Lukaku), Jesse (Lingard), Anthony (Martial), Alexis (Sanchez), Marcus (Rashford), we need big performances," he said. Expensive "We have to defend well, but we have to have that little bit extra to score goals against teams like this. We weren't good enough against them [at Old Trafford]. That's the $100 million question - who can score them? That's why the best strikers are the most expensive ones. We know we'll create chances, we have a goal threat, it's about taking those chances. "I believe you get what you deserve in sport, that you put your life and effort and determination into things and get what you deserve. People have said to me it has to be our year - that it's 20 years ago [since I scored the winner], that I used to play with No 20, back at Camp Nou, but we have to deserve it. We can't just rely on fate." The Norwegian may know what it takes to score at this stadium, but it remains to be seen if his players can. Lukaku has not scored since his brace against PSG, but could partner Rashford, who has managed just two goals since his decisive penalty against the French champions, in attack alongside either Lingard or Martial, both of whom have struggled for form and fitness and who have one goal between them in nine weeks. 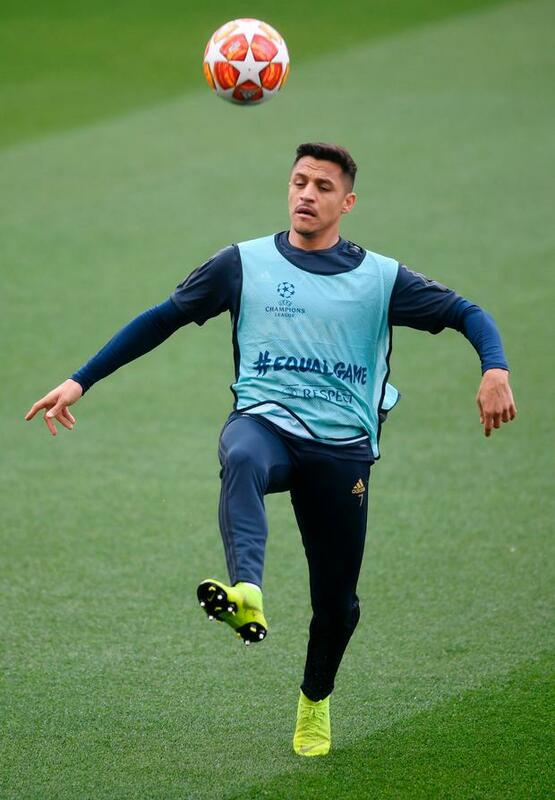 Sanchez has also returned to United's squad after six weeks out with a knee injury and, although he is unlikely to start, Solskjaer insisted there was plenty for the Chile striker to prove against his former club. Sanchez left Barca for Arsenal in 2014, but his performances for United have been dire. "Alexis has played here and when he's on the pitch he wants to prove a point for us as well," said Solskjaer. "He's been injured, not had a fantastic season so far so let's hope he can end the season great." Although he travelled with the squad, Luke Shaw is suspended following his booking in the first game, so Ashley Young could deputise at left-back and Diogo Dalot start at right-back. Nemanja Matic is available after he missed the past two games through illness. United have scored just four times from open play since their win over PSG, but Solskjaer will take heart from that comeback and the fact they have scored nine goals in four Champions League away matches. "That memory from PSG will help, we know we can turn things round," he said. "Barca at the Nou Camp is a different prospect, but the memory from that night will live with the players. It's not long ago and we're one goal better off." Despite insisting United must be better on the ball and would "suffer" if they allowed Barcelona 80 per cent possession, Solskjaer hinted at a physical approach and the need to maximise set-pieces. "We can still be in this tie in the 93rd minute," he said. "We can get a set-piece, we are physically taller than them, but you have to use it better than last week. It's about the quality, but we need to score. "I don't mind if it's the 93rd minute because if we get to injury time we are a fit team. But if we get the first goal it'll be so important." "United has something special in the final minutes," Valverde said, while adding that past glories don't dictate future outcomes. "We all chose examples from our past that can give us a boost. That is experience. But at the end, I believe that you write your own destiny. It is not given to you." And there is one bizarre statistic that will be giving United fans hope. Messi hasn't scored in his last 12 games at the quarter-final stage stretching back to 2013.